The U.S. president’s propensity to impose tariffs and ditch multilateral accords may prod developed and emerging countries to plan sturdier safety nets for the world economy and financial system at the G20 and elsewhere. Trump is also the reason they will struggle to succeed. 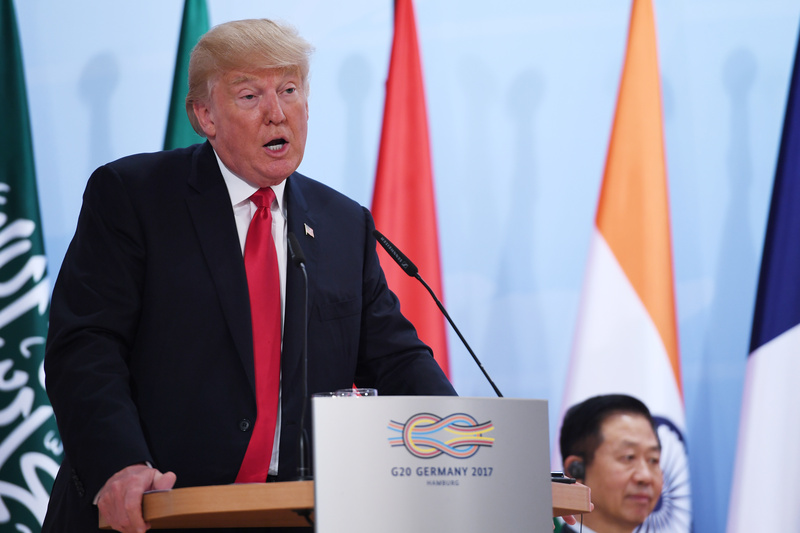 U.Ss President Donald Trump speaks during the panel discussion "Launch Event Women's Entrepreneur Finance Initiative" on the second day of the G20 Summit in Hamburg, Germany, July 8, 2017.